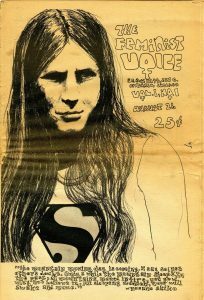 Independent Voices: An Open Access Collection of an Alternative Press is now available through the library. 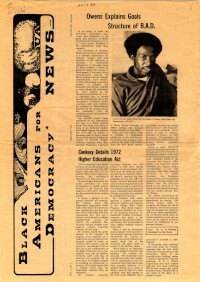 These periodicals were produced by feminists, dissident GIs, campus radicals, Native Americans, anti-war activists, Black Power advocates, Hispanics, LGBT activists, the extreme right-wing press and alternative literary magazines during the latter half of the 20th century (60’s, 70’s, and 80’s). The collection currently contains 14,097 issues. Whether researching topics like peace activist A.J. 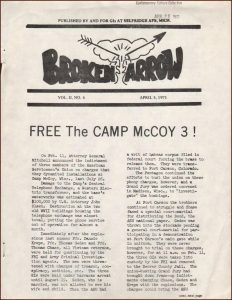 Muste, the American Indian Movement, the National Organization of Women or Vietnam War draft resistance, Independent Voices provides access to sources not elsewhere available. Drawn from the special collections of participating libraries across the country, Independent Voices is made possible by the funding support received from libraries and donors across the U.S., Canada and the U.K. Through their funding, these libraries and donors are demonstrating their commitment to open access digital collections. Produced by Reveal Digital, access has been arranged through the library’s membership with the Center for Research Libraries. The scholarly research you have worked so hard on should be available to the widest audience possible. The Open Access concept allows authors to share their research anywhere, with anyone. Open Access Week brings attention to the changes needed in academic publishing today. In the last year alone, 6,206 faculty publications have been downloaded from Hope College’s Digital Commons, a repository of scholarly work from the Hope College community. Hope College Library would love to increase the number of submissions from faculty members! Our Open Access LibGuide has all the information you need to submit your articles to Digital Commons. 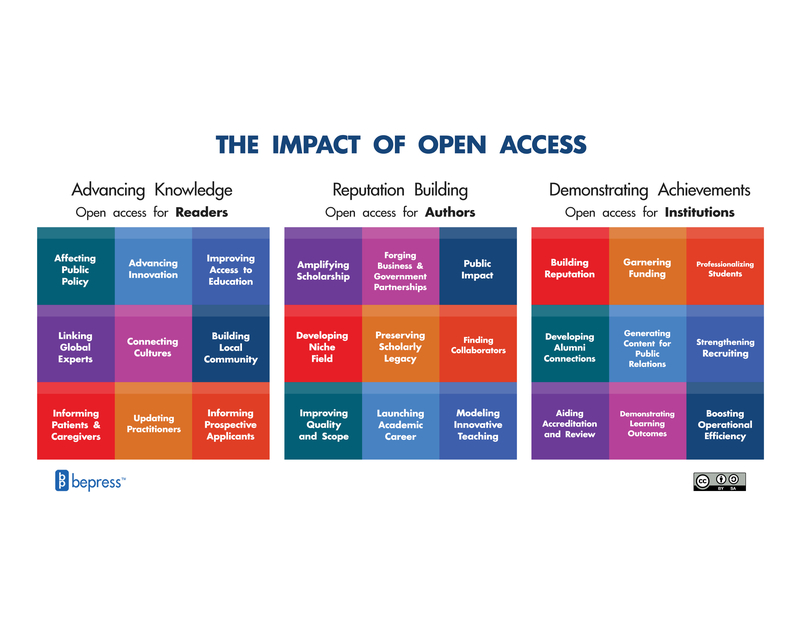 bepress, “Impact of Open Access Framework” (2016). DC Promotional Materials. Book 14.